Interested in essential oils for personal care? Learn to enjoy healthy living using the gifts of the earth! Deeply Rooted Wellness + Yoga offers custom and proprietary blends. Receive 3, 10ml roller bottles of custom essential oil blends. You may request your own ingredients, or receive recommendations suited for your health, mood, and aspirations. Great for aromatherapy, skin care, and scalp health. Up to 4 oils included in each blend. Blends will include a carrier oil for convenient application. Options include, but are not limited to, fractionated coconut oil, sweet almond oil, jojoba oil, and olive oil. These pre-blended trios are trusted combinations with transformative properties. 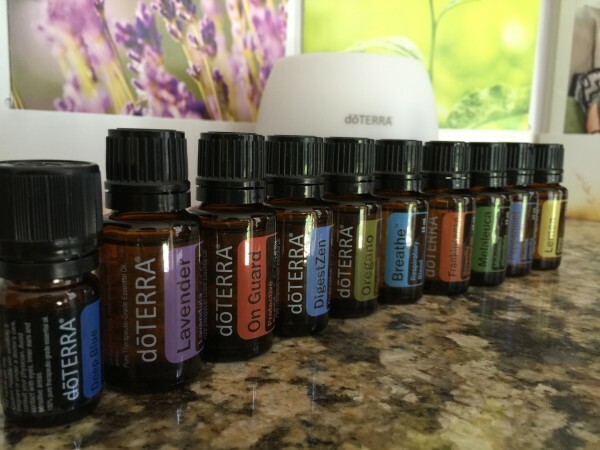 If you’re interested in purchasing single doTERRA Certified Pure Therapeutic Grade essential oils, Erica Rascon can get you started. Email Erica for details on wholesale and retail options. You can also visit Erica’s dōTERRA site.